Wrexham Glyndwr University’s Students’ Union are celebrating after being crowned the Best Team in Wales. The team received the accolade at the National Union of Students (NUS) Wales Awards 2019 in Pontypridd this week. It is the latest in a series of awards for the Union, who were judged best in Wales in 2018 and also scooped the Participation award at the NUS UK awards in July for a campaign tackling period poverty. The award was accepted by current Student Union President Angus Hamill-Stewart and Vice-President Kieran Irwin. 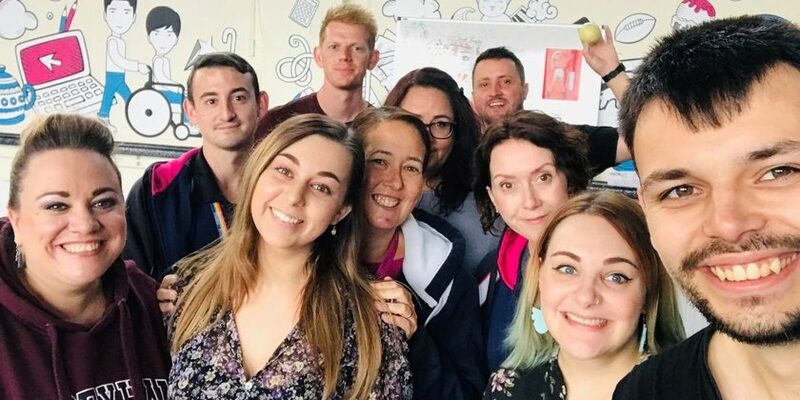 Wrexham Glyndwr University Students’ Union Chief Executive Officer Sarah Ellis said: “This has been another busy year for the Students’ Union and, throughout, our team has worked closely and diligently to improve the student experience at Glyndwr. “Among the improvements we’ve seen in the past twelve months has been the upgrade to our union to provide a new venue, The Lazy Lion. “Complementing the work being done to upgrade the university as part of the Campus 2025 strategy, the venue is a relaxing space for students to use socially, with a brand new pizza oven installed and an improved bar area. “Across the university and its campuses we’ve continued to work with students to make sure their voice is heard and they are at the heart of shaping their own learning experience. Wrexham Glyndwr University Director of Operations Lynda Powell added: “I’m delighted to see our excellent Students’ Union team have their work recognised nationally.